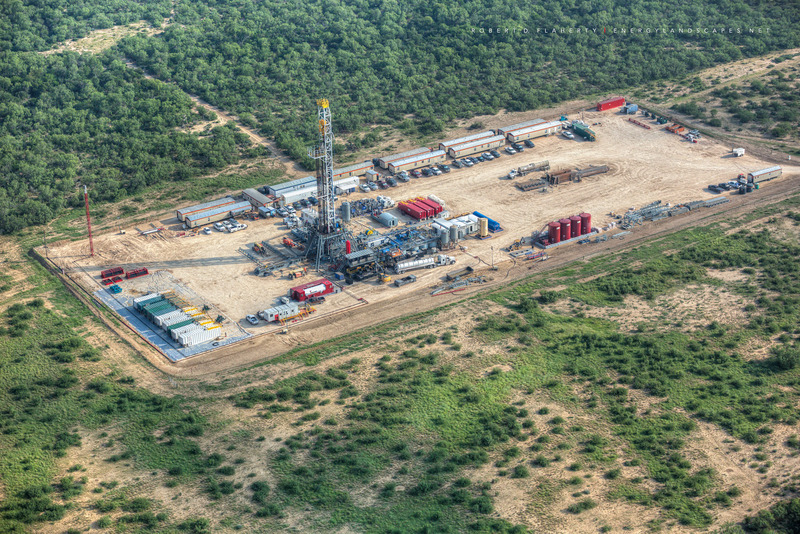 "Eagle Ford Pad Drilling Detail I" features H&P Drilling rig 498 pad drilling three deep directional wells in the Western Eagle Ford near Carrizo Springs Texas. The image was made from 1200 feet with a medium format camera stabilized by a Kenyon 8x8 gyro system. The gyro system stabilizes vibration on all three axis allowing highly detailed photographs to be taken from a helicopter. Photo © copyright by Robert D. Flaherty.